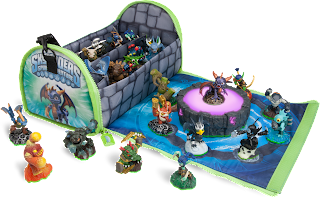 The peripheral maker Power A has just announced a new line of branded controllers and storage cases for Activision's mega-popular Skylanders. 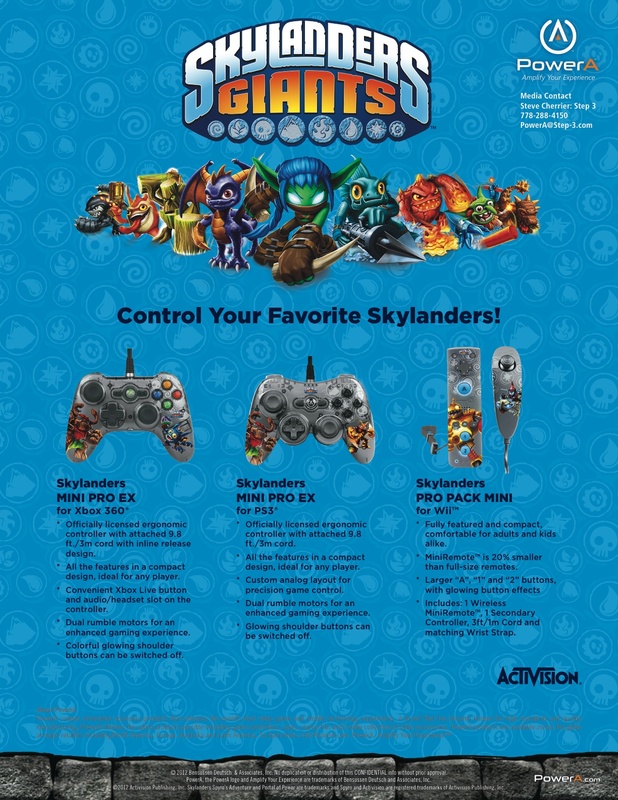 Power A is known for their excellent control pads for consoles (I know someone who uses their PS3 pad as his standard controller) but now they're branching out into the realm of branded items and storage. 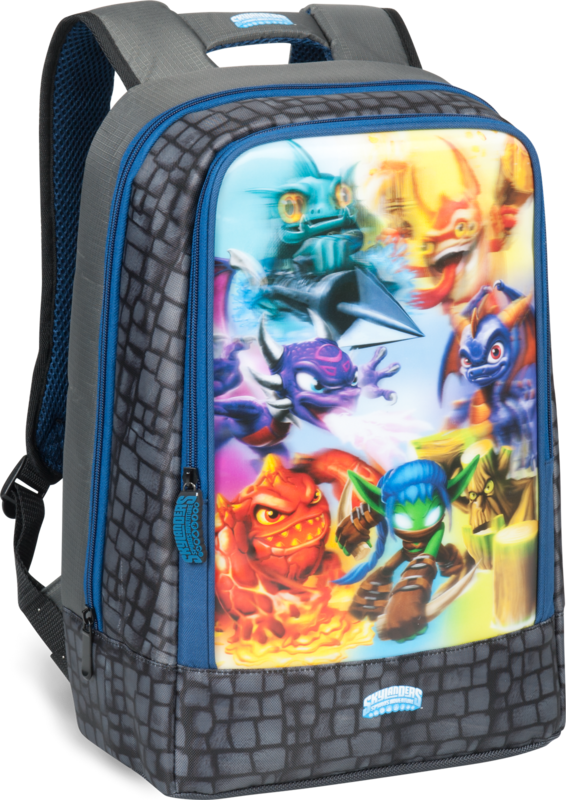 Not only are the pads cool looking, and not just for Spyro fans, but that case is great. It folds out from a compact 'chest' form factor into a mat that houses the Portal of Power. 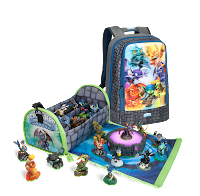 The Portal allows gamers to transport their Skylanders toys into the actual game. And the case also houses a ton of Skylanders figures- which, if you've ever seen a regular player's collection, is a must. The little guys do tend to get out of hand! I even like the backpack. 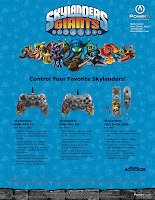 It's boldly colored and has some very nice artwork and detailing with it's castle-like edging. Cool stuff that would work for storage or school time.